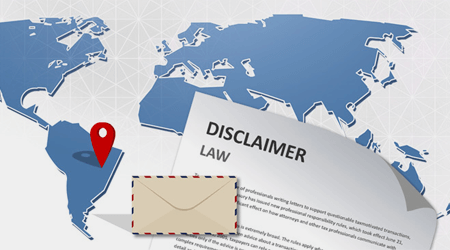 In layman’s terms, an email disclaimer is a block of text that is added to an outgoing email to limit liability, often appearing at the bottom of an email signature as a separate section. The content will often include the company name, registered office address and company registration details which is a legal requirement for corporate email in many countries. This is frequently combined with a confidentiality notice along the lines of “This message contains confidential information and is intended only for…”. Naturally the reason for including one is simple: to avoid a fine or legal action. Why might the law require me to have one? 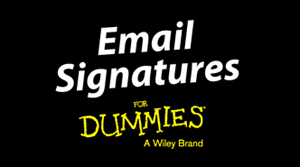 There are many schools of thought as to whether or not email disclaimers are required by law. Limit the sender’s liability for the content of a message i.e. an employee sending defamatory statements. Cover confidentiality breaches protecting exposure of confidential information such as private data. Highlight that an email does not form the basis of a legally binding contact. Protect against being liable for negligent advice on behalf of an employee. Warn recipients against the possibility of an email carrying a computer virus. It is also important to add an email disclaimer to internal messages, which should be different from an external one, as different issues can arise. There have been a number of lawsuits that have occurred due to internal circulation of offensive emails.